“Mindy is a 1 year old sweetheart of a cat with green eyes that will melt your heart. 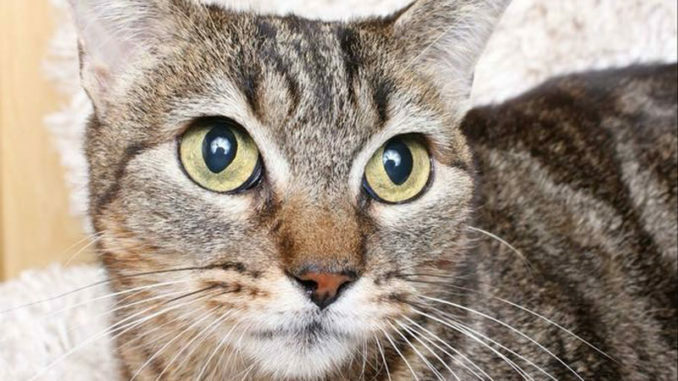 If you want a laid back, easy going kitty then Mindy is meant for you. Mindy is meticulous in her grooming as well as when she eats she goes to town on licking her beautiful whiskers. She patiently awaits a furr-ever home, ” said Jackie Boudreaux, president of the Humane Society. All cat adoptions are currently $40. Save a Life. Adopt a Pet.